What once seemed a rather sub-optimal idea has now grown into being a de-facto standard for connected products in the IoT. As a result of increasing research and industry interest around the Web of Things, we were invited by MIT in frame of their IoT Bootcamp to craft a WoT lecture. To goal of the lecture was to teach the fundamentals of the Web of Things but also go deeper into the practical benefits of using the Web to build the IoT. 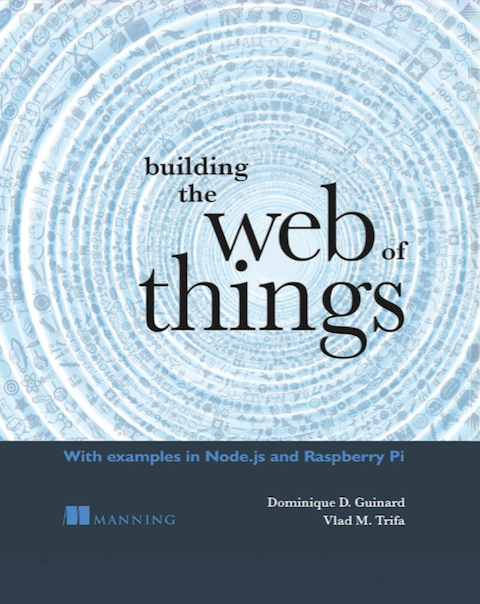 It then becomes more technical and follows the layers of Web of Things Architecture proposed in Dom’s PhD thesis and described in our book “Building the Web of Things”. Basically the second part of the lecture is a fast overview of all the chapters of the book and offering a selection of labs to give the audience a sense of what the Web of Things has to offer. Teaching this lecture at MIT was obviously a fantastic experience nonetheless because a lot of the WoT research was and is done within MIT walls (in particular at the AutoID labs but at now also at W3C). 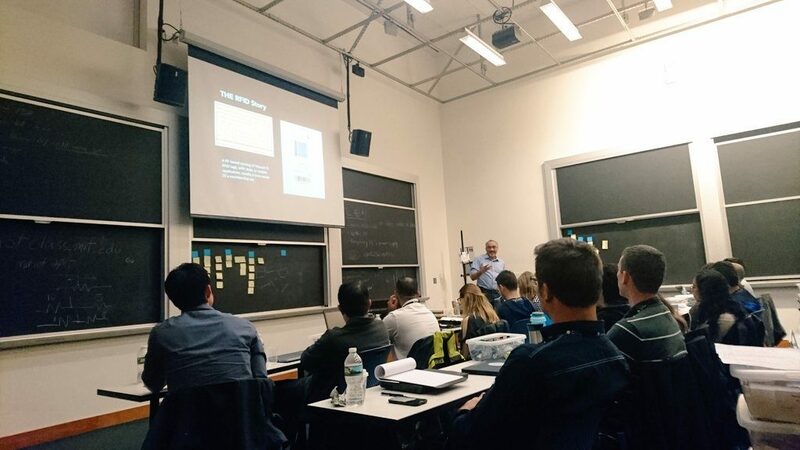 For this IoT boot camp, the organisers at the MIT AutoID labs had selected an impressive crowd of about 80 applicants for a most intense one week lecture on all things IoT. Participants ranged from key technical people at major corporations to sales teams and talented students from all over the world. The WoT lecture was just a part of the course that we shared it with an impressive line-up of experts. I had the chance of attending a few of the other lectures. Some of my highlights were Prof. Sanjay Sarma talking about his adventure to build the Internet of Things with RFID technologies. He talked about how the idea of the Internet of Things emerged in 1999 from the work he and his team did around transforming RFID tagged items into a network (aka, the Electronic Product Code or EPC network). He talked about how 3 key breakthrough the made this leap forward possible: smaller tags meaning getting closer to the key price of 1 cent per tag, the emergence of the cloud to store data rather than on the tags themselves and the apparel industry as a key adopter. I was also fascinated by Prof. Fadel Adib‘s talk on how to use electromagnetic fields as sensors that are capable of monitoring rather surprising things such as human heartbeats or even emotions! It was also a pleasure to hear Richard Whitney from Particle and compare notes on their experience making IoT projects a reality. Finally, it was great to hear again from ETH fellow Dr. Simon Mayer from the Siemens Web of Things research group about the role of the semantics and the Semantic Web will play for achieving the next level of interoperability in the Web of Things. The Web of Things part of the lecture continues touring around the world and Vlad and I had the chance to present it at a few other universities and in Geneva a few days ago at the massive IoT Week. We look forward to the next opportunities to present it so do ping us if you are interested. Meanwhile, the lecture slides are available here, and the book is available here (use code guid20evry to get 20% off on Manning.com). Previous story What is the Web of Things?